Meet Peter, a giant anteater at the Santa Ana Zoo. Reaching up to 7 feet in length, these guys are the largest of the four anteater species. Without teeth, anteaters use their long tongues to catch and consume their prey. Their tongues can flick up to 150 times a minute, giving them the ability to gobble thousands of insects a day. Sadly, overhunting and habitat loss have left the species vulnerable. 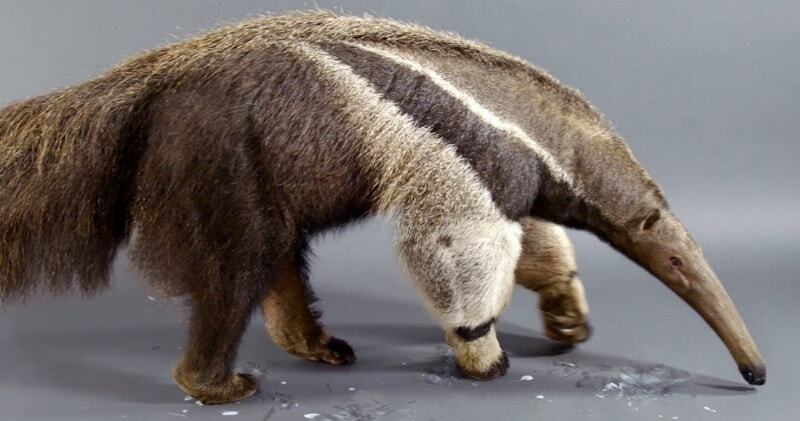 The giant anteater can be found in multiple habitats, including grassland and rainforest. It forages in open areas and rests in more forested habitats. It feeds primarily on ants and termites, using its fore claws to dig them up and its long, sticky tongue to collect them. Though giant anteaters live in overlapping home ranges, they are mostly solitary except during mother-offspring relationships, aggressive interactions between males, and when mating. Mother anteaters carry their offspring on their backs until weaning them.